Nonetheless, if you closed your eyes and listened only to the happy shrieks of children and the delighted chatter of adults above the curiously sea-like murmur of the balls, you could imagine yourself at another beach, perhaps one where you dare not close your eyes because, you know, it’s been a good year for sharks. It’s a surreal place to unwind. 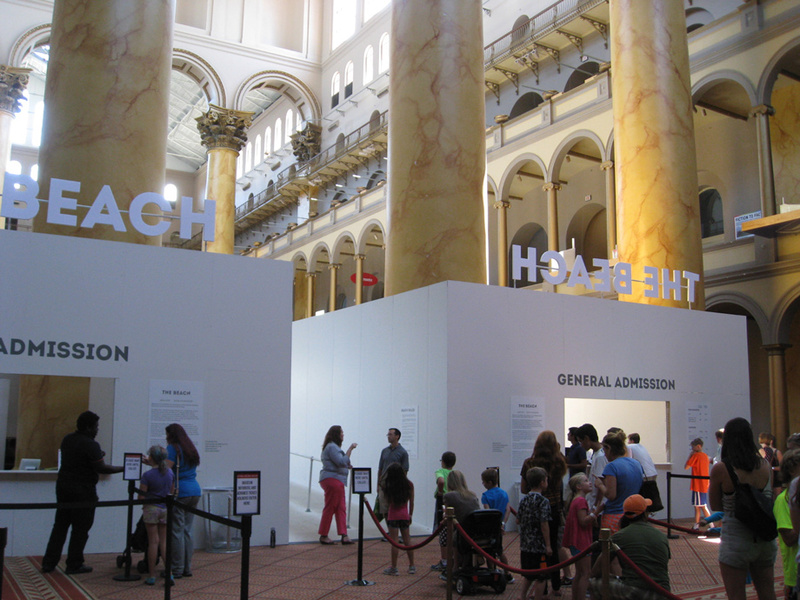 The BEACH opened on the Fourth of July at the National Building Museum as part of its Summer Block Party program. The interactive architectural installation created by Snarkitecture provides a beach-like experience you can fit in on your lunch hour if you work downtown. I knew I wanted to experience this from the moment I read about it. But the sands of summer slip through the hourglass faster than fireworks fade from the night sky. I finally took the plunge yesterday. The buzz of excitement in the Great Hall exactly mimics the blithe soundtrack of a sunny beach scene. 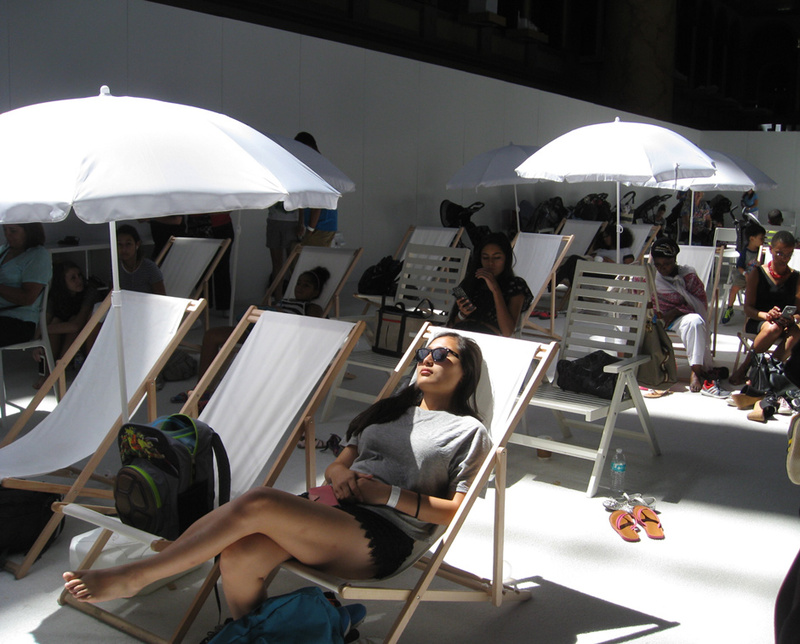 The 10,000 square-foot space is contained inside a white wall, high enough to provide a sense of enclosure, but open to the lofty reaches of the museum, which allows beams of sunlight to shaft down on the beach umbrellas. Some people just have to make a splash. 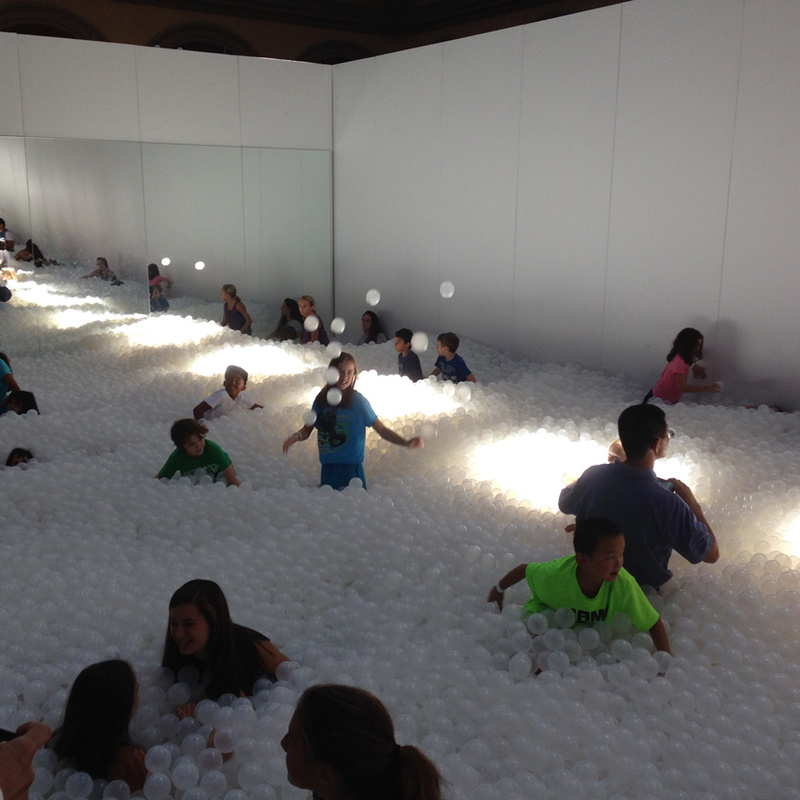 You could describe it as a plain vanilla ball pit. But it’s a million balls. And this is part of the brilliance of the design. The way the translucent white slightly squishy balls reflect the light suggest the brightness of the beach. And it’s this brightness that lends a kind of surreal serenity to the scene. 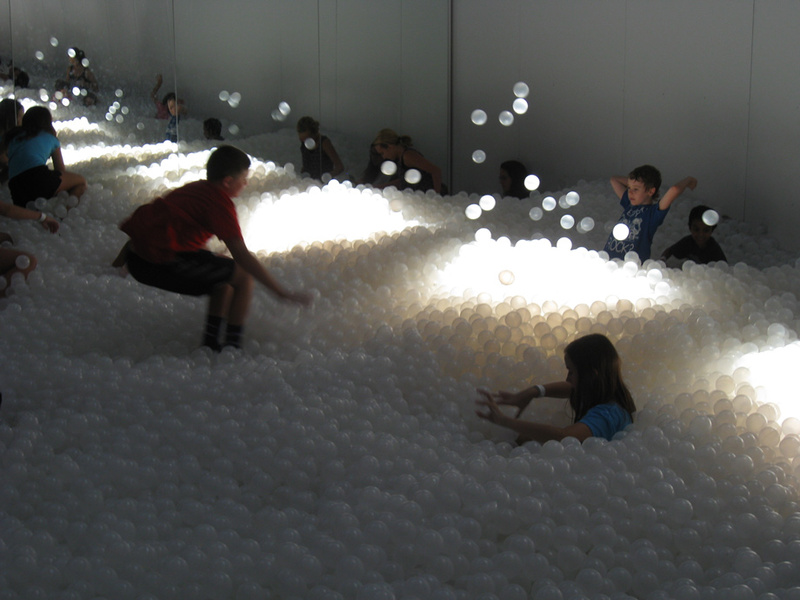 The BEACH balls never get more than three and a half feet deep, and diving is forbidden, but children and adults alike can’t seem to resist the urge to submerge. Or you can just lounge in a beach chair and let the big ball spin. The BEACH closes on September 7th. If you’re looking for something inside a box but outside the ordinary, don’t miss it.